Belvoir presents BROTHERS WRECK by Jada Alberts at the Upstairs Belvoir Theatre, Belvoir St, Surry Hills. 28th May - 22nd June. BROTHERS WRECK by Jada Alberts is a new Australian play. A new work from a new writer. This is Ms Alberts' first play. It is an accomplished work, even despite, its well honed formulaic, some might say, old fashioned, structure and style. More kudos to it, I reckon. The concentrated attention and appreciation that the audience I sat with, demonstrated the power of a comprehensible, well told story, that has a perceptible beginning, middle and an end - which is, in today's theatre not always 'cool', it being definitely, so 'old school', and so is, sometimes, purposely shunned. That the expressive simplicity of that 'comfortable' story telling mode allowed the audience an entrance to easy belief and immersive experiential loss in the characters and events of the play, such, that their laughter, and in some cases tears came freely and unguardedly, is a very positive reason to champion the form. But, there is more than form to congratulate here. The content, too, is strong. 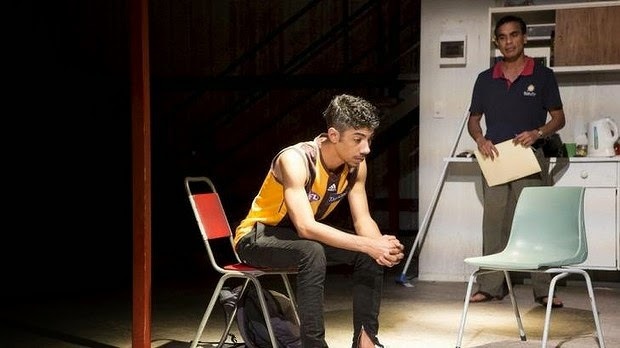 This play set in Darwin, deals with suicide. Youth suicide. To be even more specific: Indigenous youth suicide. More interestingly, that it deals, dwells, in the aftermath of such tragedy: the affects on the family, friends, and community, in surviving such an event, brings a potency to this work, that all of us have probably had to work through - through several different degrees of separation. For this play does not end with a suicide but rather begins with one. Suicide is a tragedy of immense power, in itself. But, its consequences, too, are an experience for all of the survivors, of deep pain, a kind of unfathomable, bottomless pain. Ms Alberts, talks of a particular kind of tragedy, of our contemporary times, that has some urgent social, cultural and political need for observation and discussion - and that it is shared in the communal experience of the theatre with our fellow brothers, sisters, families, enhances, perhaps, immeasurably, its value as a tool for conversation. Since the age of 17 I have felt the deaths of others through suicide. I lost someone, my brother lost someone else, my mother and father too. Then it was my cousins, my extended family, talks of attempts and self-harm. As the years have passed, death in my community through suicide seems to have gathered momentum. The statistics reflect this almost precisely. Suicide in Indigenous communities is on the rise. Youth suicide in the Northern Territory is three-and-a-half times higher than the national average, and the Indigenous suicide rates are amongst the highest in the world. Every 10 minutes an Australian attempts suicide; every four (4) hours someone succeeds. Of particular note is the phenomenon known as suicide contagion or clustering. I hope we can talk about it carefully, love each other unconditionally and direct the right help to those at risk. One play can't do that, but hopefully it can contribute to a bigger conversation that could. The situation BROTHERS WRECK, brings us to, in the ultra-naturalistic mode of the writing, is the discovery of a suicide (off stage), and for the rest of the 75 minutes or so, of a family attempting to deal with the aftermath, the wreck of a brother's act, and especially the serious depression (wreck) of Ruben (Hunter Page-Lochard), and gently promulgates the necessary healthful need for all of us to converse and share the individual journeys we all must have to find a way to continue, usefully, forward. So that, amongst much else, 'contagion suicide' can be especially avoided. The Director, Leah Purcell, has conjured well with her creative team: Dale Ferguson, Set and Costume Designer, a practical and atmospheric space in the tropics of Darwin - concrete and metal and a flight of wooden stairs - with costumes that suggest, exhaustingly, the humidity of the weather; and abetted with a wonderful atmospheric, shifting (beautiful) Lighting Design by Luiz Pampolha; and a 'torrentially' apt Sound Design, by Brendan O'Brien. Hunter Page-Lochard as his brother's wreck, Rueben, gives a performance that is mesmerising in its intensity of internalised pain, ache. It is his physicality (inherited probably from his dance background (training) with Bangarra Dance Theatre) that arrests one's attention and speaks to us so eloquently. It is exciting to watch his other skills slowly growing to match that physical gift and discipline. BLOODLAND was where I first noticed his work, and I was impressed with his acumen and growing verbal sensibility, in his contribution in the recent BLACK DIGGERS, despite the many other obstacles of the work itself. His developing vocal strengths, and sense of judgement in presenting the 'experienced' clues that the writer has offered him, to an audience, to tell his character's story, grows, perceptibly, from experience to experience. 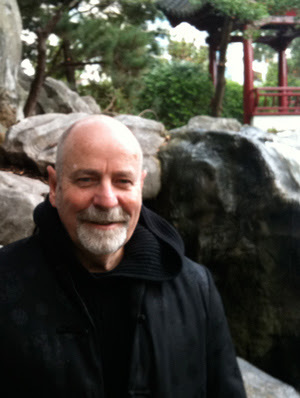 Too, Bjorn Stewart (Jarrod), with his natural, humanistic warmth is a constant support to the production's depths of family history; Cramer Cain (David) as the social worker, the outsider, makes an impressively strong and complex contribution to the play, in a role that is the least sophisticated in its writing offers. Rarriwuy Hick, from, Gods of Wheat Street, (Adele), gives a strongly actioned but, relatively, only an inch deep experienced, sister and partner; whilst Lisa Flanagan (Petra), brings a hurricane force of energy to her character's needs if no real depth-charged experiential truth -she tended to show us, to demonstrate the actions of the character's necessities - mostly, surfaces. It is the impassioned writing, the deeply committed ensemble of the actors to the story, and the brusquely managed tempo of the clearly envisioned production, that sweeps one along and permits one to celebrate, in the experience in the theatre space, with the rest of audience, an achievement of pertinence, for today, in Sydney's theatre going calendar in 2014. BROTHERS WRECK, a small play that resonates in its present timeliness. Next, at Belvoir we are to see an adaptation of a classic text: HEDDA GABLER, by Henrik Ibsen, one of the great writers of the theatre, prepared, too, to converse on pertinent social critiques, and it is, perhaps, not co-incidental, that it, too, deals with a suicide. One of the most famous in Dramatic Literature - it shocked the world in 1889. It still can, and does. Let us hope Ms Alberts' future texts maintain her acute social conscience and sense of cultural responsibility, and easy mode of attracting and holding our attention in the 'sacred' spaces of our theatres.